It is used as a part to embody Package miniaturization by having dozens of passive elements and IC integrated into a module and as RF parts such as Power Amplifier and Switch to name a few. It is mostly used for a Memory Chip since it is possible to use Gold Wire which enables Multi packaging by connecting Chip and PCB. Flex: It uses a Cable which connects a Connector and a Sub Board in electronic goods. Module: It makes it possible to make electronic goods in a slim shape and realizes high performance with high speed, high frequency, and low noise. It is mostly used in the AP(Application Processor) Chip in the Mobile IT products. 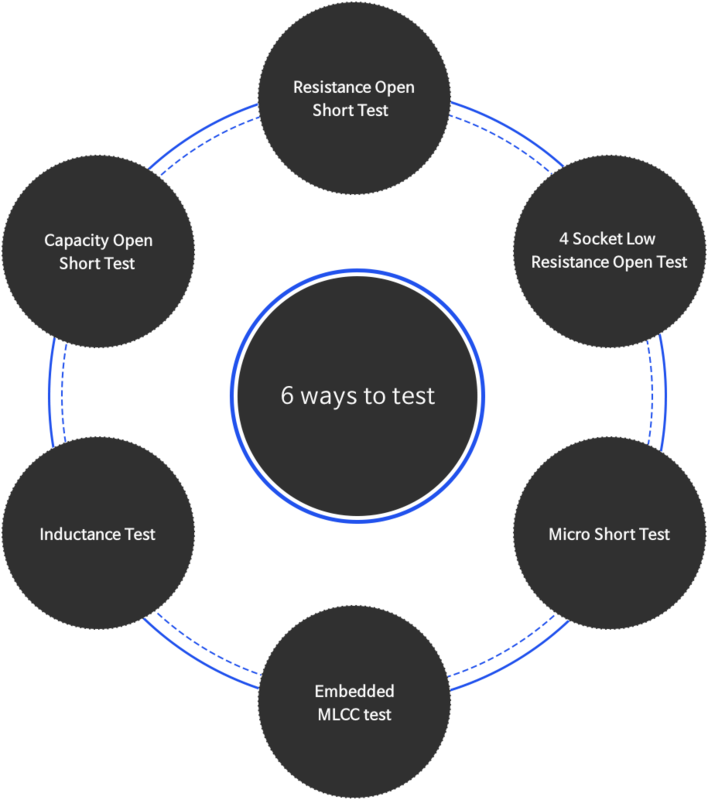 It is a process to test electronically based on GERBER DATA designed for OPEN/SHORT test circuit boards.